Revelers dressed as Viking warriors celebrate, in Catoira, Spain, during the annual Viking Festival on Aug. 5. 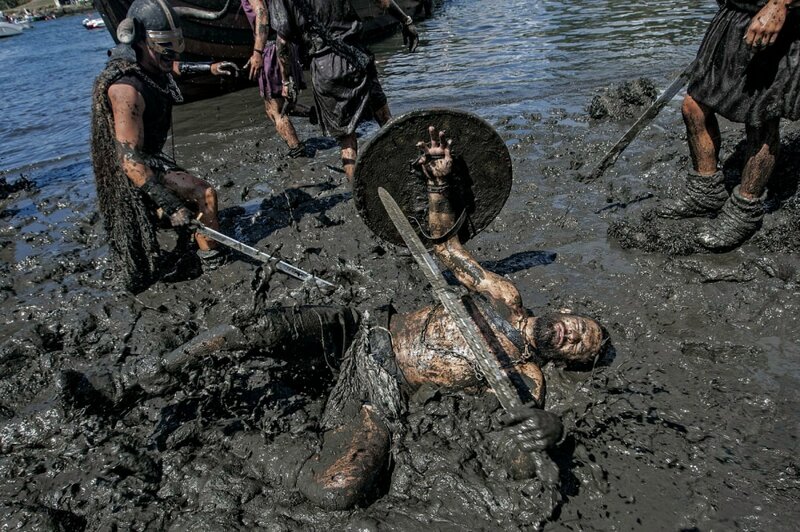 The Festival that takes place on the first Sunday of August, commemorates the Viking raids on the northwestern coasts of Spain around 1000 years ago. 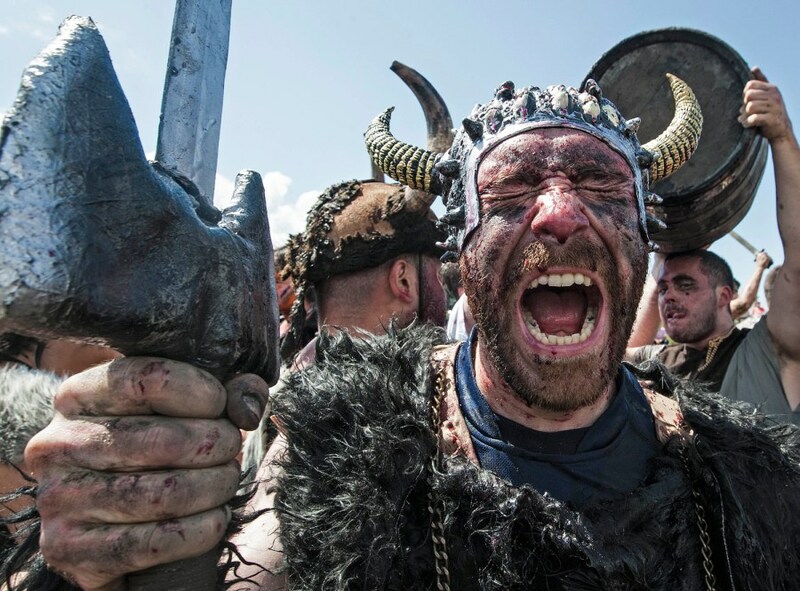 Revelers dressed as Viking warriors simulate a fight in Catoira, Spain, Aug. 5.